Do you ever have those days, where a song starts playing in your head and you absolutely, positively, don’t know why? It happens to me all the time, therefore I’m quite used to it. 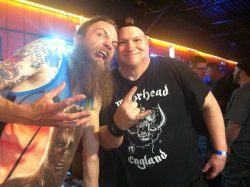 99% of the time, the song that invades my brain is Metal or at least one from the many Rock genres. Today was different though. Real different. This was a Folk Pop song going all the way back to 1971. The artist? Melanie. The song? Brand New Key. Whoa. Um, whoa again. I do remember this song quite well however, while growing up as a very young lad back in those early 1970’s. When Brand New Key was released, I was only five years old. Metal be thy name. While this reminder of my childhood days played out in my head today, I could vividly remember the smile it brought to my mothers face all those years ago. My mother used to sing along to Brand New Key while driving the car, God rest her soul. Hearing and seeing her so joyful from this song, made me feel like everything around me was happy, safe and sound. My sister used to sing along to this song as well, as it played on AM radio. I believe I sang along too… or tried to. What prompted Brand New Key to play out in my head today? I just don’t know. I can’t explain it. The one thing I do like about having this vintage song popping into my head, is the reminder of easier and innocent days of being just a child and singing along with my mother and sister. Reflecting on a simple moment in time. Happy memories, especially when they are triggered by a song… are truly priceless. I’ll never underestimate the magic powers of music. 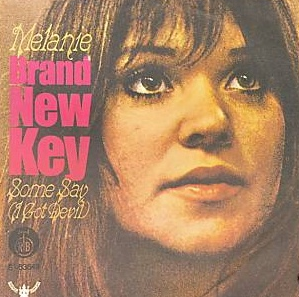 Melanie – Brand New Key was released on Neighborhood Records. Melanie – Brand New Key: Climbed to #1 status on the Billboard Hot 100 Singles Chart, back in December of 1971. 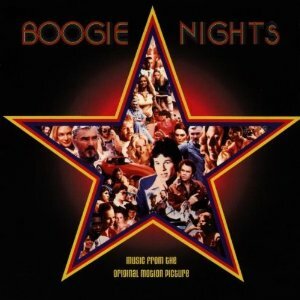 Brand New Key is on the Boogie Nights (Original Motion Picture Soundtrack), which was released back in 1997 on Capitol Records. Brand New Key is on the jackass 3D Soundtrack (various artists), having been released in 2010 on Epitaph. God Bless My Mother and Sister In Heaven.